Hiring a magic mirror or photo booth in North Yorkshire would make the perfect addition to your wedding, party, prom, children’s party or corporate event. Our party magic mirror and photo booths can be hired for a minimum of two hours, this means unlimited instant photos for your guests, a prop box full of kooky glasses & glitzy wigs to make your guests laugh that little bit harder! We can provide customised quotes for party photo booth hire ensuring you get the best possible prices!. Like the magic mirror and photo booth, proms have been imported from America and now a yearly glizty event for schools and colleges. Why not hire a magic mirror or photo booth for your North Yorkshire Prom Event, with standing or seated Photo Booths available you’re sure to find the perfect package. For further details of our Prom Photo Booth Hire North Yorkshire visit our Photo booth hire webpage or for Prom Magic Mirror Hire visit our Magic mirror hire page. 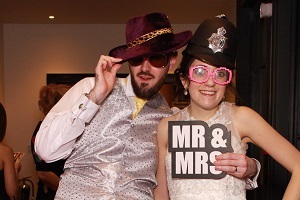 Our booths can also record video messages, for further details of our Wedding Photo Booth Hire North Yorkshire visit our Photo booth hire webpage or for Wedding Magic Mirror Hire visit our Magic mirror hire page. For further details of our Party Photo Booth Hire North Yorkshire visit our Photo booth hire webpage or for Party Magic Mirror Hire visit our Magic mirror hire page.